Cute Alert - Paul and Joe Holiday Makeup Collection 2017! 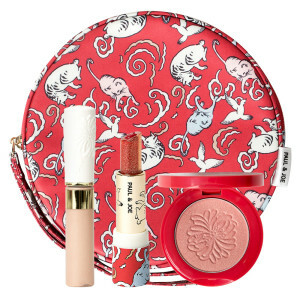 Inspired by champagne in Paris, the Paul and Joe Holiday Makeup Collection 2017 - $64 - includes a limited edition Lipstick - topped with an adorable cat face, eye gloss and shimmering blush all housed in a perfect sized pouch - great for creating an ultra-glam holiday look for yourself and/or gifting to your bestie! Available for a limited time at select Shoppers Drug Mart locations across Canada and online at beautyboutique.ca.